In this podcast, BCB’s guest is Sue Barrington, the manager of the Waterfront Park Community Center. Sue points out that the Waterfront Center is not just for Seniors. There is no minimum age requirement to participate in the Center’s programs. 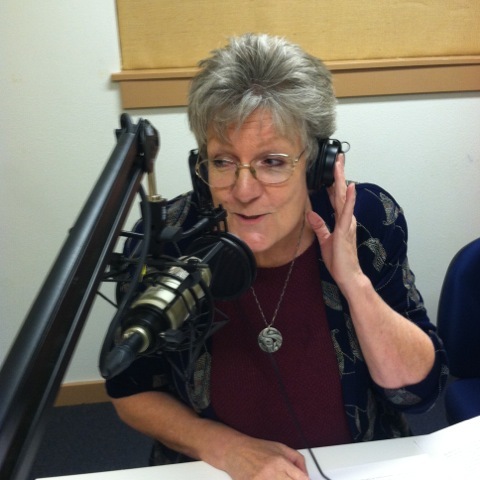 At BCB’s studio, Sue Barrington, Director of Bainbridge Island Senior Community Center, and member of BI Park and Recreation District staff. Sue describes two related events: (1) an upcoming StoryShare event, by invitation, on Saturday morning January 24th, and (2) a six-session training, starting February 19th, in interviewing technique and eliciting engaging stories. Sue describes the StoryShare project, which is a multi-year program jointly sponsored by Bainbridge Island Senior Community Center (“BISCC”), the BI Park and Recreation District, the BI Historical Museum, and BCB community radio. The next StoryShare project event that is open to interested participants is scheduled for April 25th. Watch for more information about how to make reservations for this event. Additionally, the StoryShare project will sponsor a six-week Interview Team class to be taught by Barbara Golden, an experienced interviewer and radio host. Barbara will supplement her teaching with a series of online trainings, produced by Alex Blumberg, a nationally recognized podcaster who staffed NPR series such as “This American Life” and “Planet Money”. The six-session classes, with an overall cost of only $10, will begin February 19 at 9:30am at the Waterfront Center. Participants will learn to use professional microphones and recording equipment, and will explore ways to connect on a personal level with an interviewee. StoryShare is about encouraging story telling, eliciting an individual’s stories that reveal personal insights or oral histories, and then sharing those stories in person or in recordings that can be heard by others. In this joint project, the Historical Museum brings its long-time interest in oral history recordings that shed light on Bainbridge Island history. The Museum has collected approximately 100 voice recordings made over the last several decades, which are available for listening at the Museum. BCB is offering to make StoryShare recordings available to the community — in some cases as podcasts or radio programs, and in other cases as archived recordings available for listening on the BCB website. The BI Senior Center brings to the project its mission to honor and engage our senior citizens through meaningful contribution to the community. This involves the efforts of both the BISCC nonprofit and the BI Metro Parks and Recreation District that provide the Waterfront Center’s management. Credits: BCB host and editor: Joanna Pyle; BCB studio tech and publisher: Barry Peters; BCB representative to StoryShare project: Annie Osburn.